Pop is what people know. So keeping that all in mind how can it be done well, especially when the pool is saturated with garbage to opaqueness? One way is to keep one of the above features intact while twisting and melding the other two into something else. It doesn’t matter what stays and what gets the full brunt of experimental attack, so long as all three don’t remain in the stock pop form. Enter Little Dragon. The Scandinavian quartet puts in equal parts synth and human-made sounds to make their pop music, with aching melancholy and enough danceable energy to fuel a room. Singer Yukimi Nagano pans her delicate and clear voice between powerful melisma and hushed near-whispers, built on everyday occurrence lyrics that seem all the more unique through her voice. She also plays a paddle shaped tambourine, which doubles as a beater that she uses on an array of small Japanese gongs. The band’s foundation is built by drummer Erik Bodin, who adds just the right spurts of electric percussion in with his otherwise acoustic kit, and bassist Fredrik Wallin adding complimenting thumps to Bodin’s steadiness. Keyboardist Håkan Wirenstrand, who looks like he could double as Edgar Winter, stays true to my own rule about synthesized sounds: don’t overdo it. 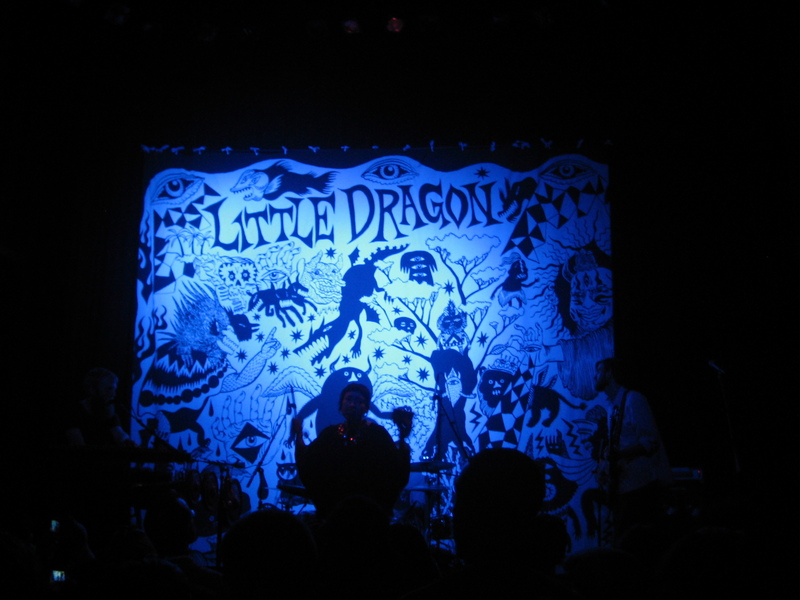 While Little Dragon could easily be called an electronic act, and even their myspace page makes the claim, the group doesn’t hide behind their equipment. Wirenstrand produces very simple melody lines to compliment the rhythms and Nagano’s painfully real singing, with bursts of sound effects that work like finding the occasional jalapeno in a complex dish. If your attention strayed, his touches brought you right back in. Lincoln Hall received the band well, as the whole night was filled with great danceable music. VV Brown started the night off with a small cauldron of rock, reggae, afro beat and rap as a canvas for her to stretch her soulfully strong voice. This being my first trip to LH it’s reassuring that folks actually built a place for people who go to shows to actually hear music.